1. The word “Bible” means “books.” The Bible is a library of 66 books written by authors over a period of 1500 years. There are 39 books in the Old Testament (OT) and 27 books in the New Testament (NT). 5. Jesus quoted out of the Old Testament 76 times from 12 Old Testament books: Genesis, Exodus, Leviticus, Deuteronomy (most), Psalms, Isaiah, Jeremiah, Daniel, Hosea, Micah, Zechariah, Malachi. 7. Paul quoted the Old Testament 131 times from 17 Old Testament books: Genesis, Exodus, Leviticus, Deuteronomy, 2 Samuel, 1 Kings, 1 Chronicles, Job, Psalms, Proverbs, Isaiah, Jeremiah, Ezekial, Hosea, Joel, Habakkuk, Malachi. 8. Seven books have no quotes in the New Testament but are referred to in the New Testament: Numbers – 1 Corinthians 10:9; Judges – Acts 13:20; Ruth – Matthew 1:5; 1 Samuel – Hebrews 11:32; 2 Kings – Matthew 1; 2 Chronicles – Matthew 1; Jonah – Matthew 16:4. 10. 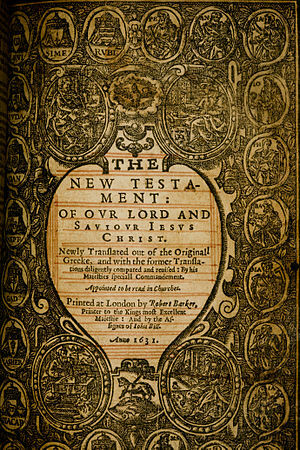 A total of 314 verses are used from the Old Testament in the New Testament. Ninety-two of the 314 refer to Christ. 11. A total of 136 different Old Testament characters are referred to in the New Testament. 13. Luke referred to the Old Testament four times from three different books: Exodus, Leviticus, Isaiah. 15. Peter quoted from seven Old Testament books: Genesis, Leviticus, Deuteronomy, Psalms, Proverbs, Isaiah, Joel. 19. The writers of the Old Testament books include (but are not limited to): Moses, Joshua, Samuel, Ezra, Nehemiah, David, Sons of Korah, Asaph, Heman, Ethan, Solomon, Haggai, Zechariah, Hezekiah, Agur, Lemuel, Isaiah, Jeremiah, Ezekiel, Daniel, Hosea, Joel, Amos, Obadiah, Jonah, Micah, Nahum, Habakkuk, Zephaniah, Malachi, and other unknown authors. 20. The writers of the New Testament books include: Matthew, Mark, Luke, John, Paul, Peter, James, and Jude. 21. The occupations of these authors are very diverse and include a soldier, an Egyptian prince, a priest, a king, a rich farmer, a poor farmer, a scribe, prophets, a prime minister’s cupbearer, a tax collector, an evangelist, a physician, a wealthy fisherman, a poor fisherman, a carpenter, a tentmaker, and others of unknown occupations. 22. Some of the authors, like Moses and Paul, were very educated men, others, like Peter and John, were considered unlearned and ignorant – Acts 4:13 “Now when they saw the boldness of Peter and John, and perceived that they were unlearned and ignorant men, they marvelled; and they took knowledge of them, that they had been with Jesus.”, yet the Lord used them to write 7 New Testament books. 23. God is in no way mentioned in the book of Esther or the Song of Solomon, but His presence and works are seen throughout.